May 12th is my mom’s birthday. Oh, no! I should say, “May 12th is our global mom’s birthday.” She is not a mom only for me anymore; she serves as a global mom for everybody. On her birthday, she would like to send her special thanks to all of her family members on the earth. Below is a message from her. I put a special daily calendar on the cupboard in my living room. 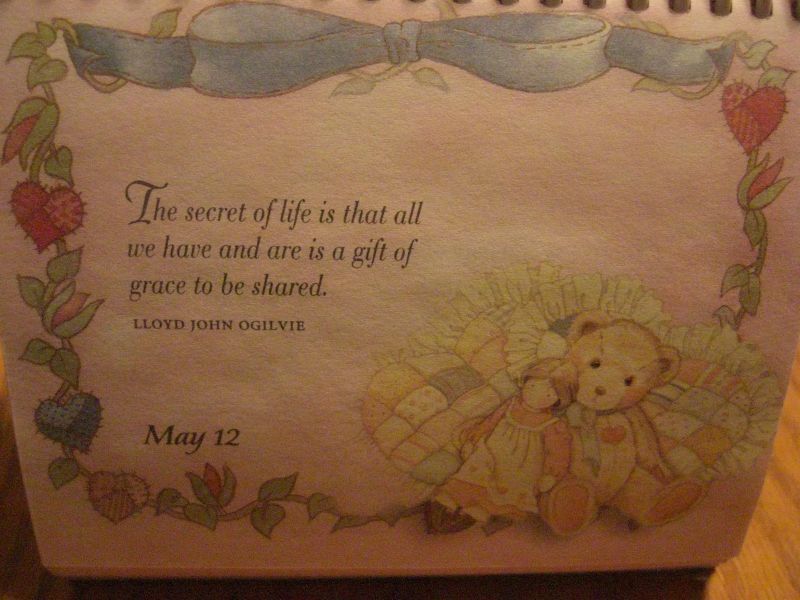 The teddy bear on each day gives me a sweet message. Here is the message for May 12th. I founded EEN to share “all I have and am” with you. I will continue to embrace “a gift of grace,” and share it with you. Thank you very much for being part of my life!